Looking for a great homemade gift you can make for Mother’s Day? Nothing is more special than a present you DIY. 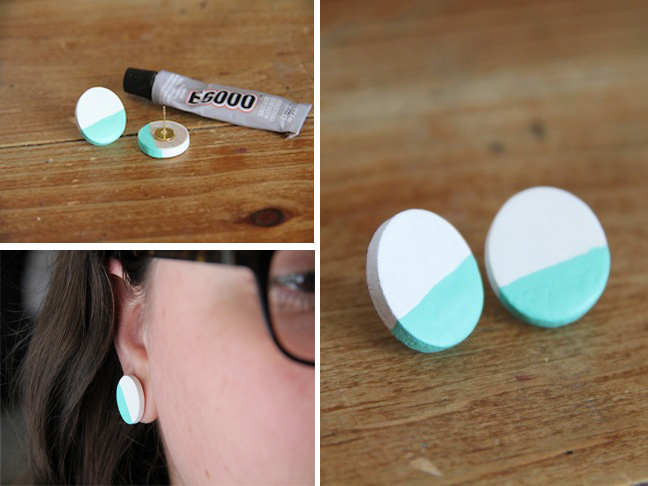 These super easy-to-make and stylish Colorblock Earrings are perfect. The best part? Kids can help make this craft! All moms love jewelry made by their children. Step 1: Paint the base color onto the wooden discs with the foam brush. Step 2: After the first coat is dry, you are ready to colorblock! You can either paint the second color on with the brush, or you can do what I did and simply dip the discs into the second paint color! Use the brush to remove the excess paint. Step 3: Once the discs are completely dry (I suggest holding them by the already dry part until they are dry), it’s time to turn them into earrings! Glue the earring backs on to the back of the discs. Let them dry for about an hour before moving them. Wrap them up and gift them! They’ll be a hit for sure. Want more homemade gifts ideas? 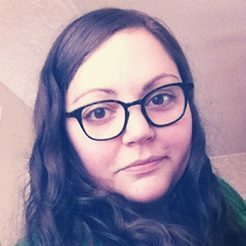 Find more crafts from Kersey Campbell at ARDOR.